An interesting projector has popped up on GearBest. The PRW330 is an 1280×800 pixel LED projector that runs Android 4.4. According to the listing, it’s powered by a Quadcore ARM A5 chip clocked at 1.5Ghz. There’s no info about which chip it is but I’m guessing it’ll be the Amlogic S805. The unit’s got 1GB of RAM, 8GB of storage, dual band Wifi and Bluetooth 4.0. 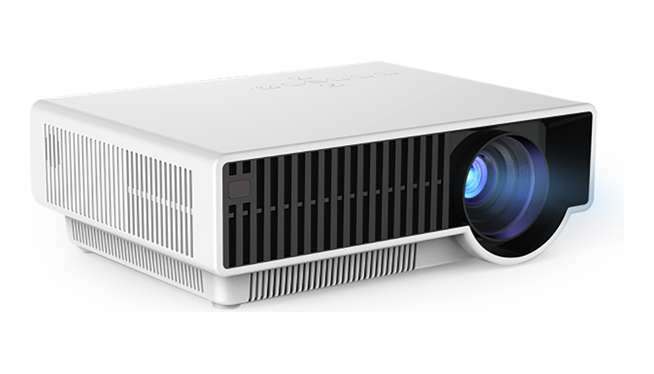 The projector itself has some respectable specs given its budget pricetag, Aside from its 1280×800 pixel resolution, the company claims that it can output 2800 lumens of brightness with a contrast ratio of 3000:1. They say this should be suitable to cast a 280 inch image. There’s also a impressive amount of connectivity on the unit, with composite, USB, HDMI and S-Video (!) ports making an appearance in addition to Miracast, AirPlay and DLNA support via software. In the box, you’ll get the PRW330 projector, AC Power Cord, IR remote, user manual, and a Warranty Card. The PRW330 LED Projector is available from GearBest, GeekBuying and Amazon for around $250. GearBest are currently running a flash sale on the projector, bringing it down to around $180.